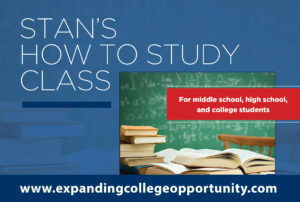 Stan’s How to Study Class provides students of broad academic backgrounds with the skills, strategies, and tools to be successful in school, and ultimately to achieve the results that both students and parents want. 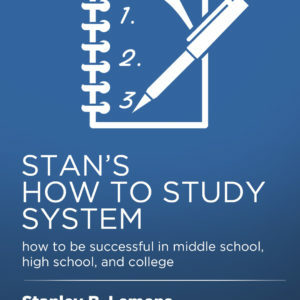 Whether you’re in middle school, high school, or college, Stan’s How to Study Class will help you succeed. An in-person class designed to help students be successful in school. 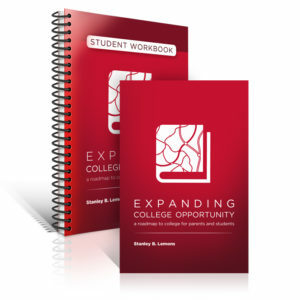 Students are equipped with easily implementable How to Study skills, strategies, and actions that aim to have an immediate impact on their academic performance. Middle School Students (6th grade and up) – improve your academic performance in middle school and likewise get a head start on fine-tuning the study skills you’ll need to be successful in high school. 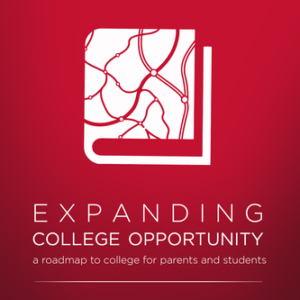 High School Students – grades and the rigor of your high school classes are fundamental to the college admissions process. Having strong study skills serves as the foundation for earning good grades, regardless of the subject you are studying. Community Groups – private programs at your location or ours can be set up to fit the needs of your community group. 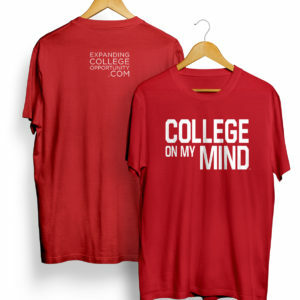 If you register through the online shopping cart for Stan’s How to Study Class, you can eliminate the automatically-calculated shipping and handling fee in the shopping cart by scrolling down on the menu bar to the FREE shipping option. Tyler’s mom and dad are spot on. Tyler’s parents know that 40 to 50 percent of a student’s success in school results from strong study skills, not raw intelligence. Michael has been struggling in college. This situation is frustrating for Michael, as well as Michael’s family. Even Michael’s professors know he is a highly capable student. Michael needs study skills and strategies to help him be successful in school.